The US Food and Drug Administration (FDA) has declared that the use of e-cigarettes by teenagers has become an ‘epidemic’ and has threatened to impose huge fines on the manufacturers if they don’t develop plans to restrict sales of the devices to minors. The FDA said that, in 2017, more than two million US teenagers used e-cigarettes, indicating a major increase in nicotine use. FDA Commissioner, Scott Gottlieb, said he thought the flavoured vape liquids were meant to attract teenagers to use e-cigarettes and that his agency was considering an outright ban on the devices. The FDA gave five manufacturers – Blu, Juul, Logic, MarkTen XL, and Vuse – 60 days to develop a plan to prevent teenagers from using the devices or face stiff fines. The agency also sent warning letters to more than 1,300 firms found to sell the devices to minors. E-cigarette manufacturers first marketed the devices as a way to help adults stop smoking traditional cigarettes. But, they have now become a way to introduce nicotine use to teenagers. 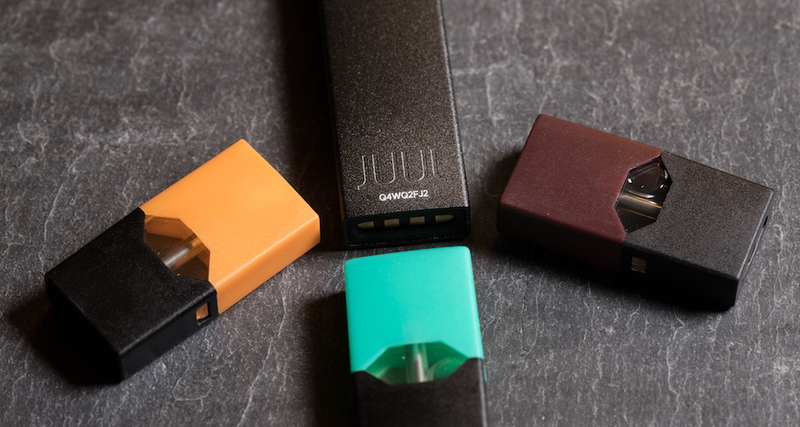 Since the surge in teenage vaping began, the FDA and Juul have clashed over Juul’s marketing strategy for the device. The Juul e-cigarette has been especially popular with teenagers. It resembles a USB drive, making it easy for them to hide and even take to school. Studies conducted over the past few years have shown that e-cigarettes can act as a gateway for teenagers to use traditional cigarettes and other drugs.